I already have an eye disease, a corneal problem called map-dot-fingerprint dystrophy (translated as "it grew incorrectly"), but I'm much more concerned about the one my father had late in life, age-related macular degeneration. I need to walk you through the anatomy of the eye (How's that for a mixed metaphor?) before I can outline what either of those ophthalmologic problems are and what can be done to correct, treat or prevent them. The National Eye Institute has a discussion of the visual system, at a level most appropriate for kids, but very worth viewing and listening to by anyone who is visually oriented in their learning style. I think it's the one link I'd suggest clicking on if you want an elementary, but accurate audio-pictorial description of how our vision works. I'll also give you a link to the WebMD's Eye Health Center, which has a very nice picture of the parts of the eye and links to many eye diseases, but eventually I plan only write in any detail about two of those parts, the cornea and the retina. We each have two eyes, unlike spiders which usually have eight (I wonder how many Spiderman has). Each eye sees a slightly different view of an object, so we have stereoscopic vision, important in judging distance and in fine manipulation. The front of our eyes have a pigmented part called the iris, a clear domelike structure called the cornea over the iris and an opening in the iris (the pupil) to let light through.The size of the pupil varies, as we've all noticed, with how bright the light is. You can't see the conjunctiva, which is a covering for all of the rest of the front part of the eye except for the cornea. Then a tough fibrous white membrane called the sclera surrounds most of the eyeball posterior to the cornea. 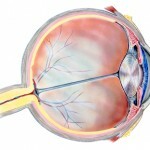 When you're looking at something, for instance, your family dog, light representing that object enters your eyes through your pupils, passes through a lens (this is a focusing device) and through a gel-like material called the vitreous humor to the retina, the light-sensitive tissue in the back of the eyeball. The picture of the object you're looking at is inverted by the time it gets to the retina whose cells convert the light into electrics impulses which are then carried via the optic nerve to a part of the brain called the visual cortex. That's located way in the back of your skull in the occipital lobe of the brain (if you feel the back of your head, you'll note a bump called the occiput). Then things get very complicated, much more so than I want to delve into, but if you're really interested here's a link to a 24-page convoluted article I found. The author, a professor at Weber State University, made the statement about six years ago that if we want to fully understand what happens when the signal leaves the retina, there are two fundamental questions: "What are the discrete anatomical pathways that carry the signal?" and "What information do the signals actually carry?" His conclusion was that the answers to these questions do not (currently) exist. So let's go back to the two parts of the eye that I personally have been most concerned about and start with the National Eye Institute' comprehensive online discussion, Facts About The Cornea and Corneal Disease. I'd term this article "Everything you might possibly want to know about the cornea and lots more," so I'll attempt to abstract some salient points. 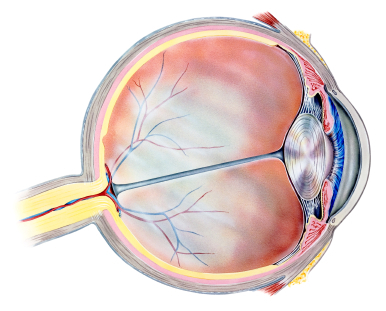 First the cornea, in order for us to have good vision, must be free of any cloudy or opaque areas, so unlike most parts of our bodies, it doesn't have any blood vessels. How does it get its nourishment? Both our tears and the vitreous humour (British spelling), the gel-like watery substance that fills the eyeball between the lens and the retina, play a role in keeping our corneas healthy. The cornea is both clear and strong and has several functions: it protects the eye from dust and germs and, at the same time acts as an outer lens to help focus light. It also screens out some of the potentially damaging ultraviolet (UV) light in sunlight. The cornea is frequently misshapen and if it is curved too much or the eye is overly long, objects at a distance don't focus on the retina. So about 25% of us, those who have this corneal issue, are nearsighted (myopic). 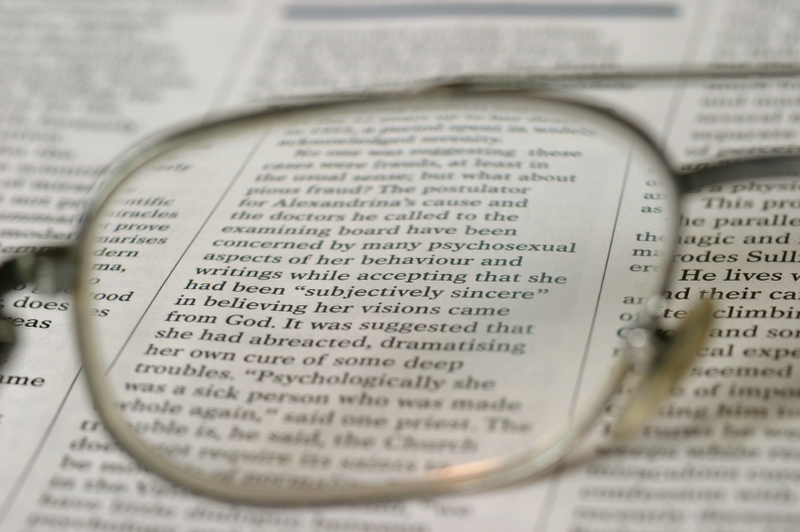 The opposite causes farsightedness (hyperopia) and that's seen in 5 to 10% of both kids and adults. Two-thirds of Americans who are myopic (and some who are hyperopic) also have a condition called astigmatism where the curvature of the cornea isn't smooth, so both near and distant objects appear blurry. This often is correctable by glasses, but special contact lenses or laser surgery are sometimes needed. Those of us who are allergic to pollen can note corneal irritation, especially during dry, hot weather and may have tearing, corneal redness, itching or other symptoms. Most of the time those problems don't necessitate medical visits. Antihistamine decongestant eyedrops often reduce our symptoms. Some of us are allergic to animal hair (dander), cosmetics, or medications and those substances or even rubbing/touching your eyes after using soaps, chemicals or applying nail polish can cause a corneal reaction. 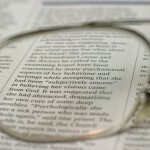 Minor injuries to the cornea may be self-healing, but more severe ones clearly require an eye professional's attention. Similarly corneal infections from a poke in the eye or a contaminated contact lens may necessitate professional help. As I mentioned before, tears are important for a healthy cornea so dry eye, a condition more common in women, particularly after menopause, may require the use of artificial tears and may be helped by using humidifiers and wrap-around glasses for outdoor wear. Interestingly, people who have dry eye may sometimes have tears running down their faces. I'll get to corneal dystrophies and macular problems in my next post. This entry was posted on Friday, June 14th, 2013 at 10:17 am	and is filed under anatomy of the eye, astigmatism, cornea, hyperopia, myopia, visual basics. You can follow any responses to this entry through the RSS 2.0 feed. You can leave a response, or trackback from your own site.